Riley Ford Inc, a dealership in Chazy, a town of just over 4,000 in upstate New York. saw sales grow by nearly 16 percent in 2018, far outpacing the overall market. The fact it has won the Ford President’s Award celebrating exceptional customer experience 28 times is a clue to why the family-owned dealership is so successful. “People are coming to Chazy just to see us. We have a huge repeat business because of our (customer) satisfaction,” dealer principal Joy Vanleuvan tells Automotive Buy Sell Report. 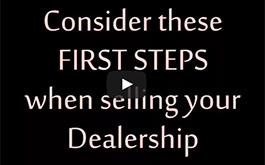 Happy and loyal customers are the Holy Grail of today’s dealership business. Riley seems to have perfected the customer satisfaction formula and it centers on treating customers and employees like family. Some of her customers are the third generation in to buy from Riley Ford. “I have great people and processes,” says Vanleuvan, explaining how she keeps customers coming back. Every one of her 32 employees is “focused on meeting and exceeding (customers’) expectations for sales and service,” she says. Vanleuvan says that goes back to her father, who acquired Riley Ford in 1980. He figured the best way to separate Riley Ford from other stores was to be very genuine in caring for its customers. “My dad was never about the money,” she says. Family is a central theme at the dealership. 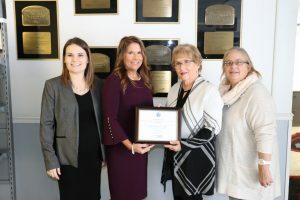 The dealership’s employees have multiple functions together, such as a weekend at a nearby casino to celebrate winning the President’s Award that included dinner and “fabulous” prizes. “We all truly love and enjoy being around each other,” says Vanleuvan. Vanleuvan’s daughters Jenna and Jessica are both managers. Her sister is co-owner and the general sales manager is a cousin and has worked at Riley Ford for 22 years. Her comptroller has been with Riley for 20 years, and one service tech for 16 years, says Vanleuvan. The dealership’s website reinforces the family theme. All the employee photos are family photos rather than just a mug shot of the employee. Even the dealership building feels like a family home. It was built in the 1920’s and Vanleuvan hasn’t had to change it to match the current dealership image program. The dealership has many women employees. Vanleuvan’s daughter Jenna Seguin is general manager and service manager; her daughter Jessica Hanson is business manager. Both her service advisers are women. “It definitely wasn’t intentional,” says Vanleuvan. “The best candidates just happened to be women. 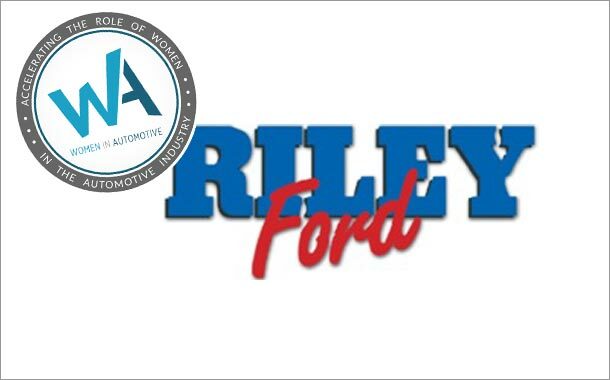 Trucks – including a lot of super duties such as Ford F350s – account for 65 percent of Riley Ford’s sales. Customers buy pickups for both personal and professional use, says Vanleuvan. This year has started out roughly because of the weather. They have had to plow the lot at least nine times this year, says Vanleuvan. The dealership burns waste oil for power and usually doesn’t have to buy fuel, but it has had to this winter, which “started in October,” she says. Despite the slow start, Riley Ford aims to grow sales by 6 percent to 1,157 units in 2019. Its sales are generally evenly split between new and used. It sells cars online – including the entire purchase process from selection to financing. That has helped the dealership draw from more than just its small community. It does expand the dealership’s geographic reach, however. A Riley employee delivered an F-350 diesel with “a specific axle, motor, transmission, and box length” to a customer in Nebraska who found it on the dealership’s website. Joy Vanleuvan is 52 and has no plans to retire any time soon. But succession won’t be a problem, given both her daughters already work at the dealership. Jenna Hanson, the GM and service manager, considered a teaching career and even studied towards that for one semester at a nearby college. “It was the most unnerving semester,” she says. She switched back to her original major, business. After graduation she started working in sales, then switched to the service department. Hanson’s five year old daughter is already a gear-head, or at least a Ford Mustang lover. She can even identify the sound a Mustang engine makes when one drives past the dealership. “She is very much a car girl,” says Vanleuvan.